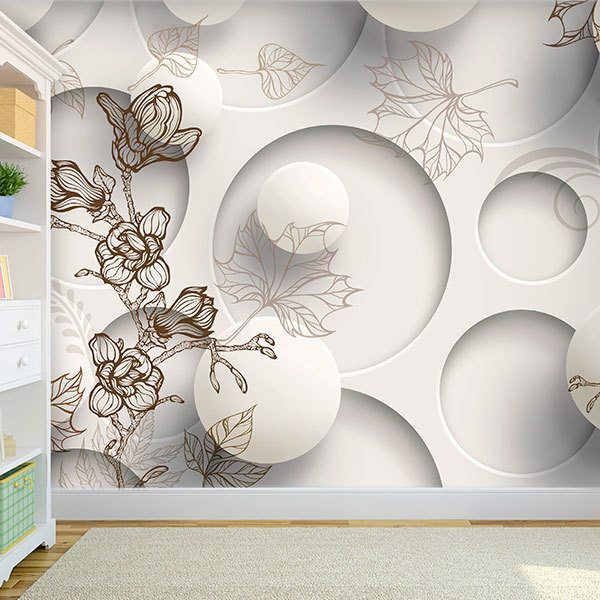 Wall mural Floral Collage. 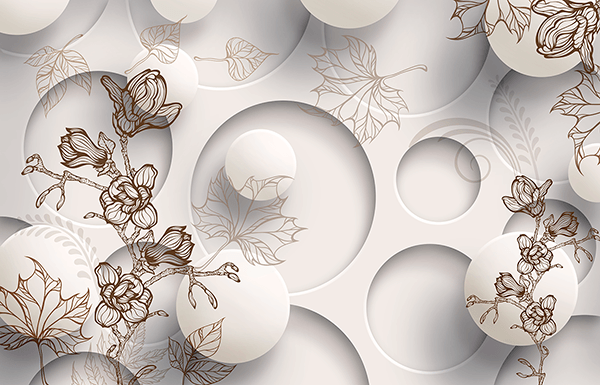 Modern composition of a background of white ovals with several illustrations of branches, leaves and flowers. 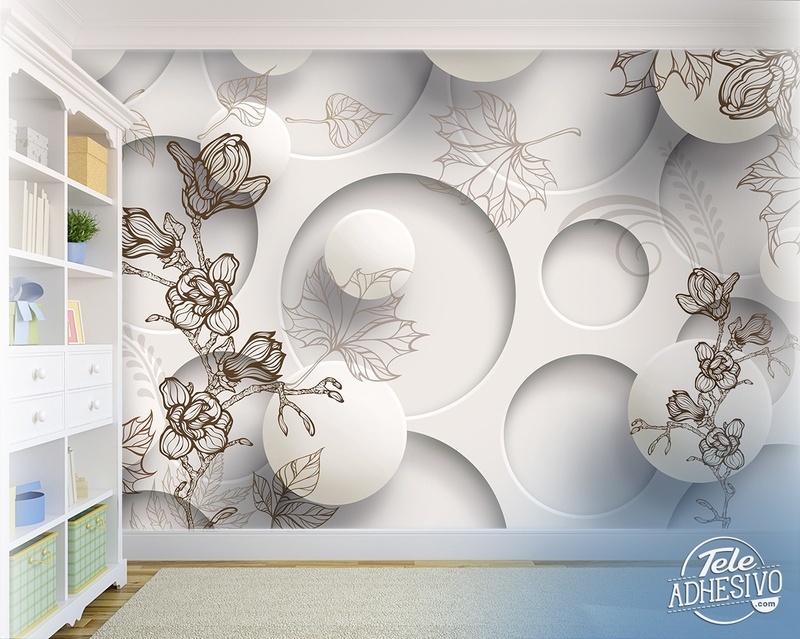 The union of these elements creates a fantastic combination of soft tones and primary forms, ideal to decorate any wall in your home.